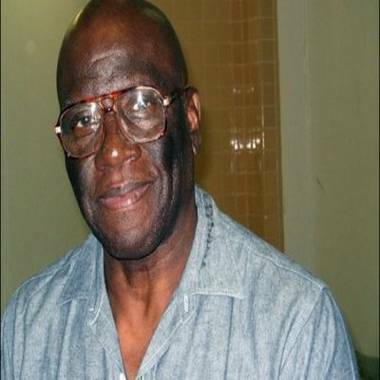 This undated image courtesy of Herman's House, shows inmate Herman Wallace at the Louisiana State Penitentiary in Angola, where he has been confined to solitary confinement for more than 40 years. A federal judge on Tuesday ordered the immediate release of Herman Wallace, a member of the so-called "Angola 3," who was held in solitary confinement in Louisiana for more than 40 years and is now dying of liver cancer. "It is further ordered that the State immediately release Mr. Wallace from custody," read the court ruling by Judge Brian A. Jackson, chief judge of the U.S. District Court for the Middle District of Louisiana. “Our Constitution requires this result even where, as here, it means overturning Mr. Wallace’s conviction nearly forty years after it was entered," the ruling added. The judge said Wallace's petition was granted because women were excluded from the grand jury in his case four decades ago, violating the Fourteenth Amendment. The state was given 30 days to notify Wallace, 71, if it plans to re-indict him, the court ruling said. Welcoming the judge's decision, Wallace's legal team said the former inmate had left the prison Tuesday night. "Mr. Wallace has been granted a new trial, but his illness is terminal and advanced," a statement from his legal team read. "However, the unfathomable punishment of more than four decades which Mr. Wallace spent in solitary confinement conditions will be the subject of litigation which will continue even after Mr. Wallace passes away. "It is Mr. Wallace’s hope that this litigation will help ensure that others, including his lifelong friend and fellow 'Angola 3' member, Albert Woodfox, do not continue to suffer such cruel and unusual confinement even after Mr. Wallace is gone."